This is "Mishnah: Damages" – one of the papercuts in my new six-piece Mishnah-inspired series. 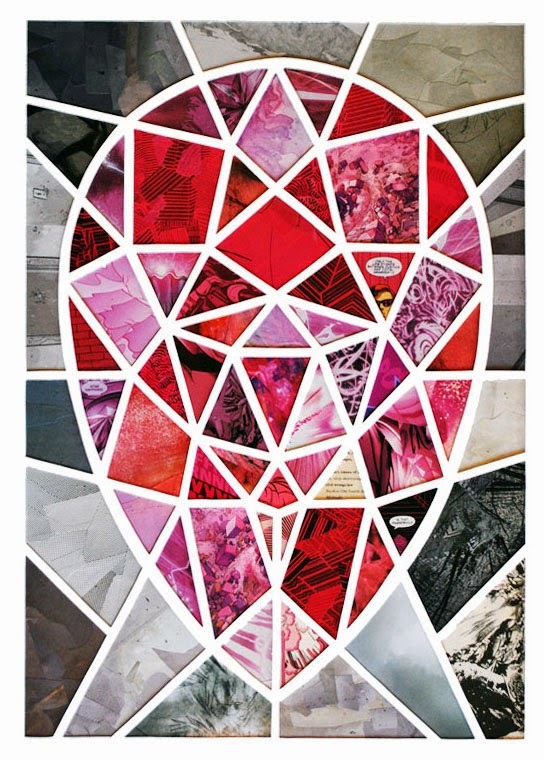 It's got Daredevil, She-Hulk, Star Sapphire, and a bunch of other cut-up comics as well. Sunday, January 25 – 3 - 5 p.m.
Curated by Georgia Freedman-Harvey and open through April. I hope you'll join me!